BA Johnston is practically a national treasure at this point. With over ten albums of folk and blinking nintendo backing track chaos to his name, the man is a songwriting stalwart — and those songs sprawl between the vast subjects of heartbreak and squirrel hating. His live act resembles a Ramones show in its intensity and colourfully scripted performance: every show features sparklers, a captain’s hat, a shirt taken off as quickly as possible, and audience interaction like you’ve never experienced it before (say goodbye to your drink and hello to BA’s head between your legs). Having scoured every corner of the country, playing semi-packed shows from Halifax to Nanaimo, BA is certainly one of the hardest working musicians out there in a minivan. 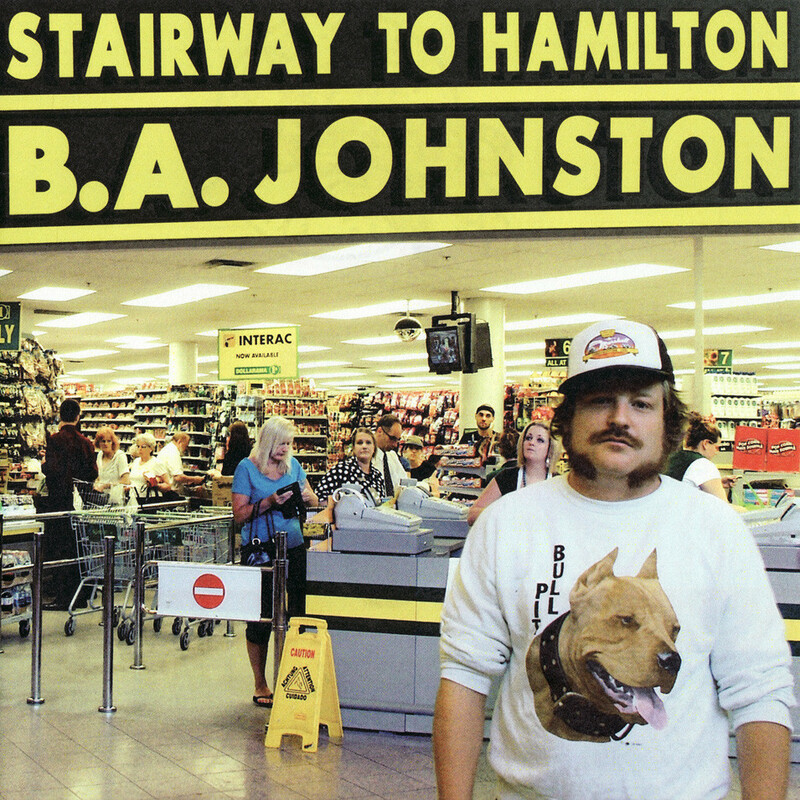 The classic 2008 release, Stairway to Hamilton is everything that is glorious about BA. Love stories abound, plied between supernatural characters, Star Wars metaphors, and new boyfriends (read douchebags). There’s enough 80s nostalgia to keep pop culture fanatics wracked with rib-tickling laughter. But, more importantly to us at Grayowl, the LP is intimately Canadian. If you grew up in the suburbs in somewhere like Dwight, ON, if you got a second-rate liberal arts degree, or if you ever got your heart broken in a Tim Hortons parking lot, you’ll recognize the song material all over Stairway. It would be easy to let that say it all: this is a Canadian record, made by a solid Canadian artist. But, more importantly, Stairway is a beautifully assembled collection of music. The album is front-heavy like a single-minded pop goliath. “Hobo 4 Life,” “You Will Miss Me When the Zombies Come,” and “How Many Tbone Steaks Can I Fit In My Pants” come hard and fast at the outset. The songs weave choral arrangements, parades of synthesizers, and frighteningly affective lyrical content — “Why didn’t I pay more attention in Grade 10 French / At the time it seemed kind of lame” — to create some of the most solid anthems in BA’s live set. For some, BA Johnston’s material might appear as just a long joke, strung out over more than ten records. For others, like yours truly, albums like Stairway to Hamilton are a wonderful reminder of what makes Canada enjoyable in and of itself. Not everything up here is HBO and golden arches. We’ve got Terry Fox, SCTV, and Dollarama. They can never take that away from us. BA will make sure.